As per the Indian Space Research Organisations, Mars Orbiter Mission has said to be completed its four years of circling the Mars. The mission reaches its fourth anniversary in this week. On the eve of the anniversary, the satellite has sent back some stunning images of the Red Planet to commemorate on the big day. These images that the spacecraft has sent is said to be very stunning. Global shot of Mars which was captured by Mangalyaan’s Mars Color Camera (MCC). The spacecraft was launched in November 2013. It has been said that the Mars Orbiter is said to be India’s pioneering mission to go to the outer space. It is then inserted itself in the Mar’s orbit which is during the first attempt on 24th September 2013. This satellite is said to be one of the ISRO’s finest which is for the cost-effective engineering as well as construction or space of effective equipment which is in the payload. It is said to be a weight-balanced design. 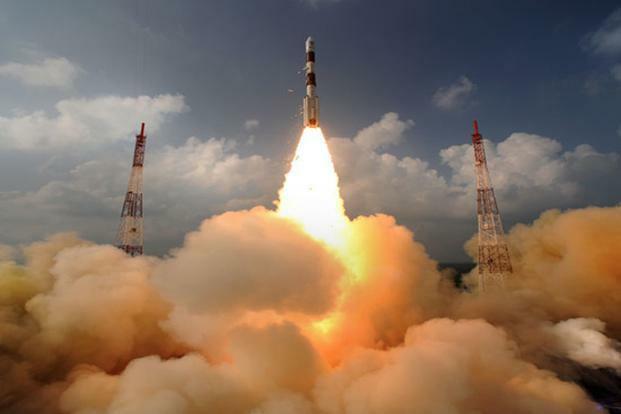 As per ISRO, it said that the first as well as second-year data of MOM which was released to the public which is through the Bengaluru-based Indian Space Data Center or ISSDC website. This was done on completion of second as well as on the third year in the orbit. Till now more than 21000 users have been registered on it as well as they have downloaded around 620 GB data. It has been said that Mars Colour Camera is said to be acquired about more than 980 images till now. Mars Atlas is now available and tills now about 23 publications published in peer-reviewed journals on MOM. ISRO has said that the Phobos and Deimos are the two moons of Mars which were imaged from close distances. MOM is said to be the only satellite that could get the image of the full disc of Mars which is in one show. The image is said to be of the far side of Deimos. As per a press release by ISRO, it said that the spacecraft is still in a healthy condition and can help the organization for many more coming years even after four years or orbiting around Mars. ISRO’s Mars Orbiter is the only one man-made satellite which is present around the Mars to catch as well as relay the glimpses of the entire planet in a single frame.